Lots of Lexington Open Houses this weekend. Here is a list of what is on the Lexington Open House circuit this weekend. If you would like more information - please let me know. I will be happy to assist! 6 Home Expenses You'll Want to Be Aware of Before Buying Your Lexington Home! Buying a home in Lexington MA can be a very exciting time! If you’re moving from out of state or from a town nearby; I’m glad you’ve chosen to make Lexington your new home. There are endless things to do in this charming city, and a vibrant history to add to its appeal. Perhaps you’ve been renting in Lexington and are venturing out to buy your first home; which can be an exciting and overwhelming all at the same time! No matter the circumstances; buying a home in Lexington will prove to be a great decision for years to come! If you are a first time home buyer, or have not interacted with the Lexington Real Estate market in some time; you’ll want to be sure to put first things first. Adding up your monthly expenses is essential to knowing how much home you can afford. 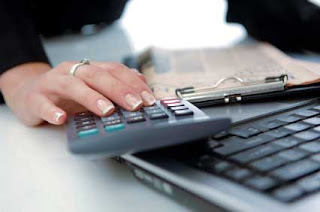 Some of the expenses you’ll need to calculate are obvious, while others may catch you off guard. To avoid any surprises; I’ve gathered six home expenses of which you’ll want to be aware. Take a look! 1. Property Taxes- Your taxes are typically generated from the assessed value of your home, which is different from the number you’re used to seeing in the appraised value. Taxes can add hundreds of dollars onto your monthly payment, so be sure you know the final amount before you sign on a home in Lexington. 2. Insurance- Insurance is vital in the home buying process. Not only will a deal not go through without it, but you want to be sure to shop around for the best option. The home insurance covers the basics of theft and fire, but does not cover flood damage which is something you may want to consider if your home is on a lower plane. Consider joining your home insurance with your car insurance for an even better deal. 3. Private Mortgage Insurance (PMI)- You may be required to pay the bill for PMI if your down payment is less than 20% of the home value. Private mortgage insurance is important as it protects the lender again defaulting on your loan, but is not required. The monthly payment will depend on the size of your loan. 4. Homeowner's Association Fees- HOA fees typically only apply in a condo community, but can also be found in some subdivisions so you’ll want to be sure to ask about those upfront. These fees are paid on a monthly or yearly basis depending on the development, but oftentimes include many perks that you’ll enjoy such as snow removal, or a gym membership! 5. Maintenance- While your favored Lexington home may look perfect on the surface; you’ll want to be prepared for the home inspection results. There can be hidden problems that can demand attention right when you move in. You can talk with your Lexington Real Estate agent about factoring the home inspection and any major repairs into the final Lexington home price. Being prepared for regular home maintenance is also crucial. Again, if you’re moving from an apartment, this is something you may not be used to; so having a realistic view of a home and the maintenance that is required will help you prepare for the additional costs. 6. Utilities- First time home buyers are often struck by the difference from apartment utilities to home utilities. You can request an average of what utilities for the house you are looking at typically cost, but you’ll want to be prepared for the increase. Of course, there are eco-friendly ways to cut down on the cost of your utility bill that are worth pursuing! Of course, if you have any questions about any of these home costs; please let me know! If you are in the beginning stages of looking for a home in Lexington and have not yet found a Lexington Real Estate agent; I would love to help! I have years of experience in the Lexington Real Estate market and can give you insight into the best neighborhoods, schools and any other information you would want to know about life in Lexington. Please feel free to contact me anytime! Buying or Refinancing Your Lexington MA Home? One of the most confusing parts of buying or refinancing a home is trying to make sense of the HUD Settlement Statement. For most buyers, sorting through this document during the closing can be very stressful and confusing. Here is a nice article to make the process much easier. Buying a Lexington, MA home, for most, is the single biggest investment homeowners will make in their lifetime. But what happens if you are involved in a car accident or run into serious financial trouble, and creditors are knocking on your door, threatening to place a lien on your Lexington home? Massachusetts Homestead Act declaration can protect your single biggest assest in these situations. A Massachusetts Homestead Declaration enables all Massachusetts homeowners to protect up to $500,000 in equity from certain claims of creditors. It is one of the most overloked and cost-effective asset protection devices in Masachusetts. All MA homeowners will receive an automatic homestead exemption of $125,000 for protection against certain creditor claims on their principal residence without having to do anything. All MA residents are eligible for a $500,000 declared homestead exemption by filing a declaration of homestead at the Registry of Deeds. Both spouces will now have to sign the form, which is a change from prior practice. If you have a have a homestead as a single person, and get married, the homestead automatically protects your new spouse. Homesteads now pass on to the surviving spouse and children who live in the home. You do not have to re-file a homestead after a refinance. Under the new law, homesteads are automatically subordinate to mortgages, and lenders are specifically prohibited from having borrowers waive or release a homestead. Closing attorneys in mortgage transactions must now provide borrowers with a notice of availability of a homestead. Thank you to Richard Vetstein, Esq. and Marc Canner, Esq. of TitleHub.com for the providing the above information. If you need legal assistance, please contact Richard or Marc for more information. They can also be reached through their Real Estate Law Blog. 6 Tips for Dealing with a Low-Ball Offers on Your Lexington Home! Selling your Lexington home can be filled with highs and lows as the national housing market attempts to stabilize itself. Whether your home has been on the market throughout the holiday season or if you’ve just recently put your home up for sale; the first offer can be an exciting time! You feel encouraged that there are buyers out there who see the value in your Lexington home. The only problem with the offer that you quickly realize is the price that they’re offering to pay. As the market is still leaning in the favor of buyers, many looking for homes try to cash in on the current markets’ status. So, how do you handle an offer that is significantly lower than what you were hoping for? Before you reject the offer completely, get offended or write-off those particular buyers; take a deep breath. It’s hard when you’ve put a lot into your home whether in renovations or repairs as it’s easy to take a low ball offer personally. There are a few ways to deal with a low offer on your Lexington home. Below are six ways to deal with a less than favorable offer on your home. 1. Consider the terms- Price is paramount for most Lexington buyers and sellers, but it’s not the only deal point. A low purchase offer might make sense if the contingencies are reasonable, the closing date meets your needs, and the buyer is preapproved for a mortgage. Consider what terms you might change in a counteroffer to make the deal work. 2. Counter the purchase offer- Unless you’ve received multiple purchase offers on your Lexington home, the best response is to counter the low offer with a price and terms you’re willing to accept. Some buyers make a low offer because they think that’s customary, they’re afraid they’ll overpay, or they want to test your limits. 3. Get the agents together- If the purchase offer is too low to counter, but you don’t have a better option, ask your Lexington Real Estate agent to call the buyer’s agent and try to narrow the price gap so that a counteroffer would make sense. Also, ask your agent whether the buyer (or buyer’s agent) has a reputation for lowball purchase offers. If that’s the case, you might feel freer to reject the offer. 4. Review your comps- Ask your Lexington Real Estate agent whether any homes that are comparable to yours (known as “comps”) have been sold or put on the market since your home was listed for sale. If those new comps are at lower prices, you might have to lower your price to match them if you want to sell. 5. Consider the buyer’s comps- Buyers sometimes attach comps to a low offer to try to convince the seller to accept a lower purchase offer. Take a look at those comparables. Are the homes similar to yours? If so, your asking price might be unrealistic. If not, you might want to include in your counteroffer information about those homes and your own comps that your Lexington Real Estate agent provided for you when you first decided your asking price. If the buyers don’t include comps to justify their low purchase offer, have your real estate agent ask the buyers’ agent for those comps. 6. 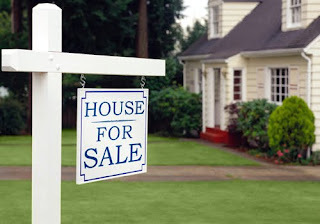 Don’t signal desperation-Buyers are sensitive to signs that a seller may be receptive to a low purchase offer. If your home is vacant or your home’s listing describes you as a “motivated” seller, you’re signaling you’re open to a low offer. If you can remedy the situation, maybe by renting furniture or asking your Lexington Real Estate agent not to mention in your home listing that you’re motivated, the next purchase offer you get might be more to your liking. I hope these tips are helpful as you begin to accept offers on your Lexington home. If you are just beginning the home selling process and still have not found a Lexington Real Estate agent; please let me know! I have worked in the Lexington Real Estate market for years and have a solid track record of getting Lexington homes sold in a smooth and efficient way! Please feel free to contact me anytime!